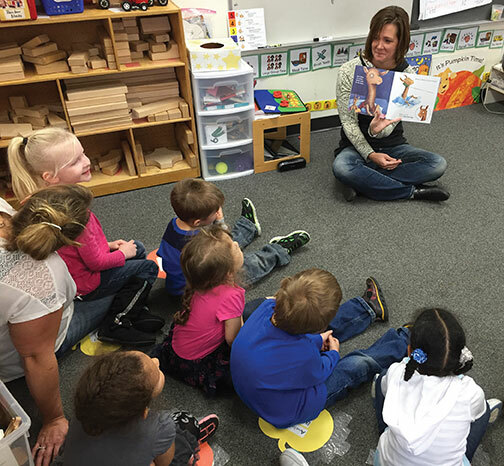 Anita Price arrived at a Head Start classroom in Detroit Lakes, books in tow, and sank onto the floor amid the 3-year-olds. She answered their eager questions—how old were her children; was she a grandma—and then the Kiwanis member got to the heart of her visit: she began to read a book to them. The story was about a jungle party with a new guest arriving on every page. 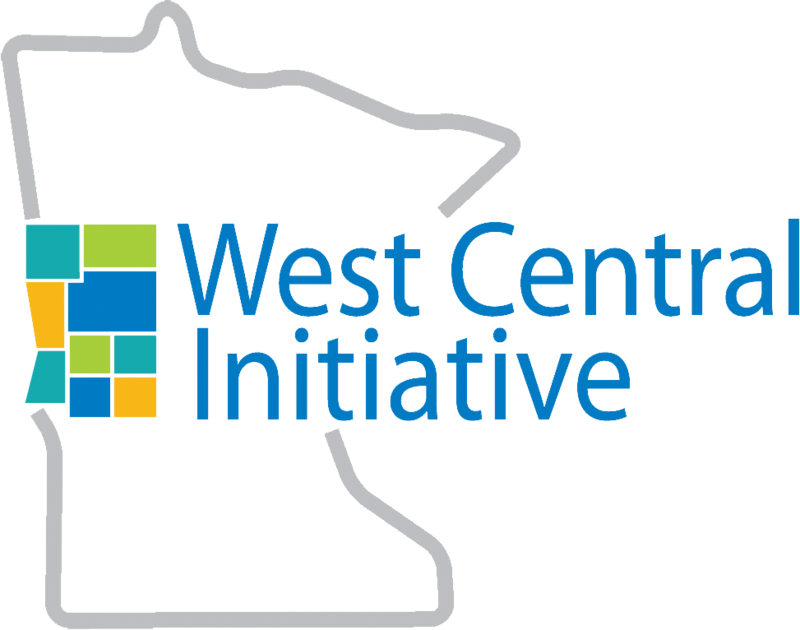 Price is part of a program called “Today’s Readers are Tomorrow’s Leaders” that started when West Central Initiative shared a story about a similar project elsewhere in Minnesota. Becker County Early Childhood Initiative (ECI) coordinator Fran Rethwisch thought the local Kiwanis Club would be a good fit, and passed the idea on to them. Kiwanis members happily got on board. Since last October, Kiwanis volunteers have read to about 760 children from birth to 5 years old, and have distributed about 800 books. This winter they will once again visit home-based child care centers, church programs, Head Start classrooms and other locations. Kiwanis members were especially motivated after hearing from a kindergarten teacher that children sometimes arrive at kindergarten unsure how to hold a book or turn its pages.  It’s one of many ways the Early Childhood Initiative teams up with local groups to achieve great things for Becker County children. They work with clinics, service groups, mental health agencies, public health agencies, museums, child care providers and preschools. A few years ago, the ECI connected with the local museum and historical society and a number of individuals and groups to bring to town life-size storybook exhibits from the Minnesota Children’s Museum. Recently, they provided books for an Eagle Scout project filling backpacks for children entering the foster care system. Now, they’re helping Head Start and the Audubon School raise funds for an early childhood playground in Audubon. LEARN MORE ABOUT OUR EARLY CHILDHOOD INITIATIVES. Contact Nancy Jost or Marsha Erickson at 800-735-2239, njost@wcif.org or marsha@wcif.org">marsha@wcif.org. Or visit eci.wcif.org.